Antigraviti combines the traditional yoga with air acrobatics. It is conducted in a swing net, health making difficult exercises easier, which allows for longer workout time. It also contributes to better balance and stability. 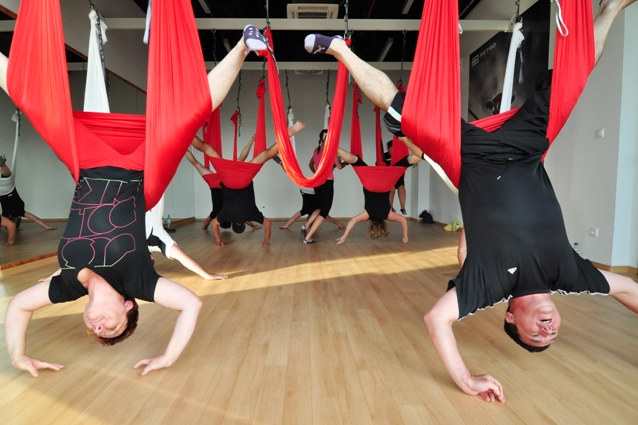 Conducted in swing nets, Antigravity Yoga changes the relationships of trainees to the earth and gravity, which brings a possibility to better understand the own body and its relation to the physical laws.